If just for one game. On January 10th, 2016 David Robert Jones, known to the world as David Bowie, passed away after a private and protracted battle with cancer. He was a singer, songwriter, musician, actor, and many many more things and his influence was felt far and wide. He was not, to my knowledge, a gamer. But he was totally a role player. From his personas of Ziggy Stardust to the Thin White Duke and various acting roles and constant innovation and re-invention, Bowie was great at making and playing characters. He communicated concepts and ideas not just with evocative music and lyrics, but with performance. Even his battle with cancer is depicted metaphorically through his last album, putting him it a category of unique works that range from Warren Zevon’s The Wind to John Wayne’s The Shootist. Like so many other influential artists and musicians, Bowie often proves inspirational beyond his chosen mediums. So it’s not much of a surprise that much of his music can generate several interesting ideas for rpg adventures, characters, and sessions. And I do mean several ideas. 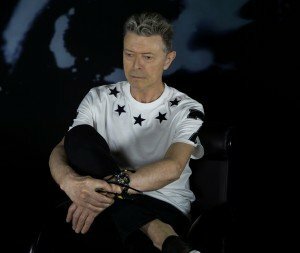 Even in writing this article I found myself faced with a number of options on how to showcase Bowie’s influence and impact. Did I create a superhero or group with incarnations that each reference a different period of Bowie’s career? Did I suggest a space opera setting based on Bowie’s early work, or a gritty modern political dystopia inspired by his time with the band Tin Machine? I had plenty of good options. In the end I decided to go for a shotgun approach, taking various songs and using them for ideas or adventures or campaigns. It’s not hard to imagine the songs themselves being used to open each session in a matter akin to movie or TV themes, So let’s look at some specific examples. In this tune, Major Tom (first name? last name? both? your call) the astronaut is stuck in a drifting spaceship high above the Earth. His circuit’s dead, there’s something wrong. The last thing anyone really heard from Tom was “tell my wife I love her very much” (she knows, btw). So…what’s going on? Technical malfunction? Sabotage? Maybe something more sinister? This plot works very well in a supers game, where heroes might be able to actually save Major Tom. Same goes for more action-oriented spy or modern adventure films. With some adjustment, Tom could even be an explorer in a fantasy world that became lost in a remote area, such as an arctic wasteland, a vast desert, or the middle of a vast ocean. Of course…maybe it’s not that simple. If you listen to the lyrics to this song you find out “Major Tom’s a junkie” and “you’d better not mess with Major Tom.” So maybe the whole crisis in space is his fault? Could Tom’s drug problems have led to him either accidentally ruining the spaceflight? Or did someone find out about his problem and blackmail him into sabotaging the flight. Maybe Tom doesn’t even intend to survive the accident; he just wants to “die a hero” so his family won’t find out about his problems. Or maybe Major Tom’s the victim of mind-altering cosmic energies or has bonded with a dangerous space parasite and the drug reference is a metaphor. Worse, maybe this space madness is spreading. It might even be affecting various superheroes and villains, causing them to act on their most violent impulses. Maybe the PCs get a cryptic message from some other costumed adventurer after a mad rampage that causes mass devastation. “I’m happy. Hope you’re happy, too.” Can the heroes stop this epidemic of cosmic insanity and at what cost? So is this guy just crazy and accepting of his state? Possibly, but maybe there’s another answer that makes for a fun rpg campaign. When you consider that Dracula contains the line “We’ve all become god’s madmen” in reference to the stalwart vampire hunters of that classic tale, maybe “madmen” has become underground occult slang for those who hunter monsters, vampires, etc… The “thin men” could be inspired by urban legends such as the alien “men in black” or the internet created boogeyman, Slender. Or they might not even be physically thin. Instead, this might be a reference to the thinning of barriers between the natural and supernatural worlds. “Sadmen” might be similar slang, either for other types of monstrous threats, or for those who are unaware of the vast supernatural threats that dwell in the darkest corners of the world. Need a threat for your kung-fu themed adventure? Well, over a century ago in the Zi Duang province, a matriarch of great martial prowess and murderous disposition ruled in from her stronghold that is laid out like a multi-layered web. Mother Glass Spider decorated her halls with the skeletons of vanquished foes and her hall is filled with treasures and trophies taken from those she has killed. She was served by her “children”, a cult of trained killers who are totally devoted to her. However, Mother Glass Spider was defeated and her stronghold flooded. At least until now. The water’s all gone and Mummy’s back. However and for whatever reason’s she’s returned? It’s a dark day for the people and soon her stronghold will echo again the cries of suffering unless someone stops her. Hey, remember Major Tom? Well, it turns out he didn’t die and didn’t lose control (not him). He did slip through a rift in spacetime though, ending up on the far end of the galaxy. This may have even been how the heroes had to end the space madness or alien parasite mentioned earlier. In any event, Major Tom is back floating in the void and it doesn’t look good. There he encountered a powerful and malevolent alien intelligence that feeds upon the energies of whole planets, wants to dominate the minds of all sentient life, or is just an old fashioned world conqueror (like the various cosmic-themed villains in the M&M Cosmic Handbook) . The entity saved Tom’s life and even bestowed great powers on him. However, the price for Tom’s salvation was high. In exchange for his new patron’s aid, he agreed to lead his new master to Earth—where he’ll either enslave or destroy the planet (your choice). What will your PCs do when they’re face to face with the man who sold the world? In the village of Ormen, stands a solitary candle. The village makes sacrifices to a fallen angel trapped inside the candle known only as The Blackstar. These sacrifices take the form of executions. When enough sacrifices are performed, the Blackstar will possess the body of the final victim and manifest as a being of great and terrible power. Obviously, someone needs to stop that from happening. Music can inspire games just as powerfully as other media—though often there’s more work to be done by the GM and players to fill in conceptual gaps left by a three minute song. That’s actually really cool though; such looser inspiration often leads to great leaps of creativity. And if Bowie’s not your thing? You can do this sort of thing with many other artists too. You could set a dark superhero campaign to the works of Nick Cave and Tom Waits. Country or blue musicians like Johnny Cash or Robert Johnson could provide the soundtrack for your horror campaign set in the rural South. You could style different parts of a cyberpunk campaign setting as a clash between new wave, punk, and Japanese icon pop. You could use various “power ballads” from rock and metal supergroups to inspire a number of big boss battles in a fantasy campaign. You could certainly do a fantasy or science fiction campaign inspired by various progressive rock songs and albums—it’s hard to imagine there’s not some of this already in settings like Monte Cook’s Numenera or Wil Wheaon’s Titansgrave. Well-used, music is a powerful compliment to other creative endeavors, and gaming is no exception. So if you’re so inclined, give this approach a try. To paraphrase the Starman, I don’t know where you’ll end up, but I promise you it won’t be boring.